Microsoft has revealed that it used artificial intelligence to drive the speed and efficiency of the rollout of its latest April 2018 Update for Windows 10. In a blog post, the software giant explained that it’s the first time it has used AI (and machine learning) at scale to improve the quality and reliability of an update roll-out (although the AI approach was trialed in a limited way with the previous Fall Creators Update). How does AI smooth things over? Essentially, it’s analyzing data on the characteristics of devices – presumably both in terms of hardware and software – to see which will have a good update experience, and to subsequently pick out and target the same (or at least very similar) systems for delivery. As the roll-out progresses, more data is collected, and more precise analysis and determinations can occur. Microsoft further notes that more than 250 million PCs now have the April 2018 Update, in the speediest roll-out of a major upgrade ever. 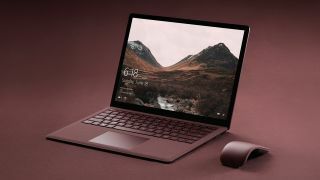 The company also says that it’s seeing “higher satisfaction numbers, fewer known issues, and lower support call volumes compared to previous Windows 10 releases”. That could be the case going by Microsoft’s internal metrics – that cite a 20% reduction in system stability issues – which we can’t really argue with. But, we’ll at least beg to differ, as it’s not what we’ve witnessed at the barrage of internet feedback on the April 2018 Update, with numerous problems being reported since the roll-out began. There certainly seems to have been more trouble than the previous Fall Creators Update: antivirus conflicts, problems with SSDs, and gremlins with various laptops including Microsoft’s own Surface devices, to name just a few issues. And really, the regularity of fresh bugs crawling out of the woodwork has felt like it has rivaled the infamously shaky Anniversary Update at times. Still, there’s no denying the speed of the current rollout, which Microsoft observes has hit 250 million devices in less than half the time taken by the Fall Creators Update. That tallies with independent statistics revealed a fortnight ago which show that the April 2018 Update is being deployed twice as fast as the previous upgrade. Microsoft also offers up a story of how its AI routines – when coupled with telemetry data – adjust the roll-out to protect PCs that may potentially be affected by a freshly spotted problem with an update. This was an issue with Avast antivirus software that you may recall, and over the following 24 hours, Microsoft worked with the security company to identify the part of its Behavior Shield that clashed with the April 2018 Update. A fix was immediately concocted by Avast, and the roll-out gates were opened once again for machines running the antivirus software. Here's to hoping AI will make future large Windows 10 updates even smoother.